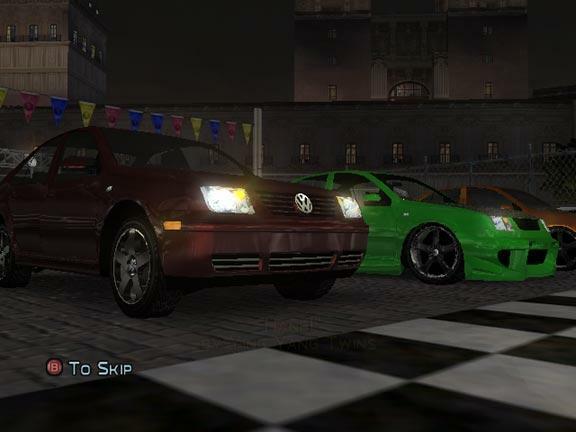 Midnight Club 3 looked to add some high-profile style and attitude when it hooked up with DUB magazine, which specializes in showcasing stars with their cars. There's some mighty bling on wheels, but this urban street racing stalwart turns out to have some go with its show, too. To its credit, Midnight Club 3 let's its performance on the road do all the talking. The controls grip the road like the claws of a tiger to produce arcade-driving action that's as good as it gets. The PS2 driving is particularly tight, while the Xbox has a slightly softer feel. Both versions, however, do an excellent job of pumping up the sensation of over-the-top speed. There's a challenge for every taste, too. You can play 10 modes that include a metal-mashing version of tag, jumping into regular street races, or just cruising around looking for action. The most fun are probably the free-roaming Cruise and Career modes. In both, you tool around town to hunt the local talent. Street kings or entire car clubs are all waiting to test your skills. Both console versions paint decent visuals. The nighttime looks are good enough to establish an edgy, high-octane atmosphere. You're usually moving so fast that you won't notice the detail in the buildings or the panic-stricken pedestrians anyway. The wheelwork takes place in three urban locals, Detroit, Atlanta, and San Diego (where the game was developed), but you'd be hardpressed to tell them apart or identify the local landmarks. The DUB connection exerts its muscle back in the garage. You can buy 50 licensed cars and motorcycles and upgrade appearance (including paint and decals), body aerodynamics, and handling with a ton of licensed add-ons. You have to earn cash to do it, but once you build up your bank you can feed your automotive personality to customize any style of rig you like from imports (mostly European) to SUVs to muscle cars. The auto graphics shine throughout. Whether you're into tuning or just customizing your ride, Midnight Club 3 is more than roadworthy.